Home Office 365 Group PowerShell How to Create a Office 365 Group using PowerShell? How to Create a Office 365 Group using PowerShell? 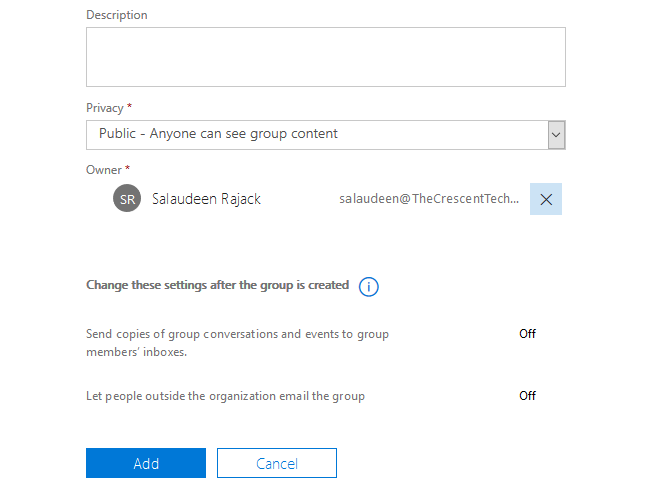 How to Create an Office 365 Group in the Admin Center? 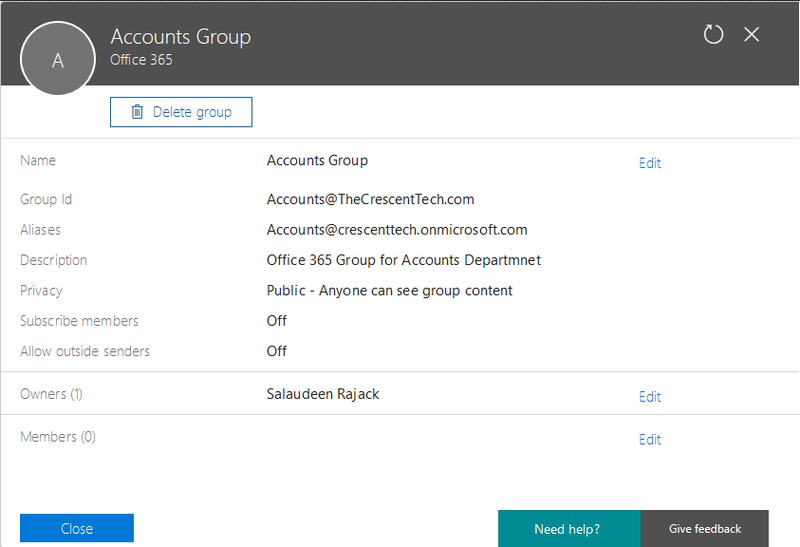 As an admin, you can create office 365 groups through Microsoft 365 admin center. Click on "Add a Group" >> Select "Office 365" under Type. Provide a name for the group and unique email address for the group. Specify the privacy type for the Office 365 Group. 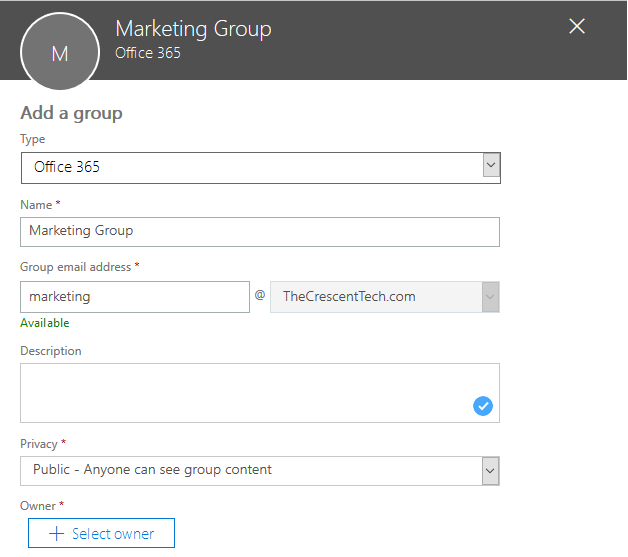 Click on "Add" to start creating the Office 365 group. Once we've created a group, all related resources such as Shared mail box, Calendar, SharePoint Site, etc gets provisioned automatically. Let's see how to create office 365 group via PowerShell. How to Create Office 365 Group using PowerShell? Creating Office 365 group through PowerShell allows you to have more control over the Group properties. To create a Office 365 Group you need to first establish a remote session to Exchange Online and then use New-UnifiedGroup cmdlet to create an Office 365 Group with PowerShell. This creates a new private group called "Consumers Group" with an email address of "ConsumersGroup@TheCrescentTech.com"
DisplayName: Display name of the group, is the minimum parameter to create a group. Alias: Exchange alias for the group. If you don't supply the value for this parameter, it will be generated. EmailAddresses: The e-mail address of the Group. There are numerous other parameters that allow you to customize things even further, which are not supported in UI! When the "Connect-AzureAD" cmdlet prompts for credentials, Enter your Office 365 Admin account!